MP David Anderson addressing the 4th Parliamentary Forum on Religious Freedom. Religious freedom is not an issue that shows up on the grid of the average Canadian. In fact, when you mention it to someone, you typically get a range of responses. Some people express a genuine interest, but most people’s eyes slowly glaze over like you told them you wanted to discuss the significance of protein values in wheat. Others stare back at you blankly as their mind races to try and determine how this could possibly be relevant to anything. But while most may not realize it, religious freedom is extremely relevant for at least three reasons. First of all, religious freedom matters. Religious freedom is an extension of three foundational rights: Freedom of conscience, freedom of speech and freedom of association. History has shown us that religious freedom and democratic freedom are inseparable, and that a decline in one will inevitably result in a decline of the other. Consequently, it should come as no surprise to us that societies which protect religious freedom are more likely to protect all other fundamental freedoms and are typically more stable and more prosperous. On the other hand, societies which fail to protect religious freedom usually find that the freedoms of conscience, speech and association also come under attack, eroding the very foundations of democracy. The second reason we should be paying attention to this issue is because religious freedoms are under severe attack in much of the world. Pew Research, a US-based think tank monitoring religious freedom, calculates that 76% of the world’s population currently live in countries which are experiencing high or very high restrictions on religion. For example, if you are a Christian in Pakistan, you live under the constant shadow of violent extremism and vigilantism. If you are a Muslim living in Burma, Buddhist in China, a Jew in Iran, a Sikh in India, or any of these in North Korea, you may be watched, harassed, censored, detained, intimidated, imprisoned, tortured, or killed, simply because of your religious beliefs. The problem is real and wide-spread. The third reason why religious freedom should be on our grid is because the debate over religious freedom and its accompanying anxieties have reached our very doorstep. It is easy to get the mistaken impression that restrictions on religious freedom or belief only take place in third world countries or faraway places. Not so. While violations in the West may be minimal when compared to brutal violations elsewhere, the West is clearly struggling with how to define and protect religious freedom. In Canada last fall, Quebec’s proposed Charter of Values threatened to forbid government employees from wearing religious symbols to work. This spring, Trinity Western University – a private Christian university – finds itself under attack for its Community Covenant Agreement where students agree to abstain from “sexual intimacy that violates the sacredness of marriage between a man and a woman”. Two provincial bar associations have already refused to accredit TWU unless it removes the offending statement from their Community Covenant Agreement. Canada is a strong supporter of religious freedom as a fundamental human right. Yet even here at home the way forward is not always clear. Efforts to increase our religious freedom literacy are well-advised and contribute to an informed public discussion on what religious freedom means and how it should be best protected. 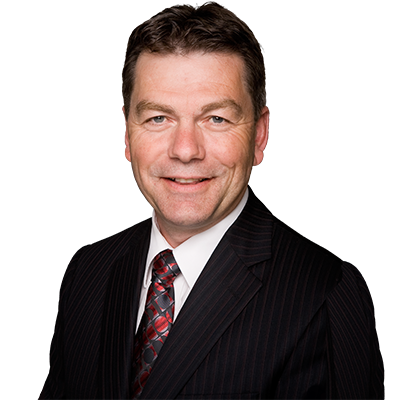 David Anderson is Member of Parliament for Cypress Hills – Grasslands. First elected in 2000, David currently serves as Parliamentary Secretary to the Minister of Foreign Affairs. He has been committed to raising awareness of the need to protect religious freedom around the world, hosting annual Parliamentary Forums on Religious Freedom and working with fellow MP Bev Shipley to present and pass Motion 382, which unanimously declared the Parliament of Canada’s support for religious freedom around the world.